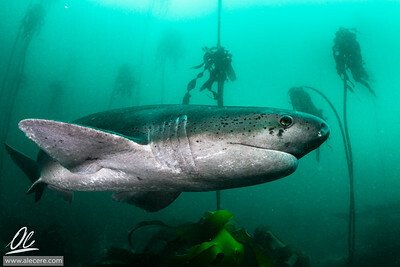 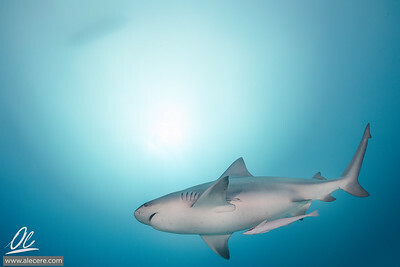 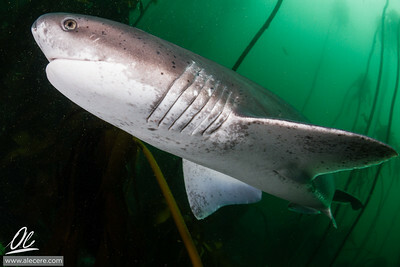 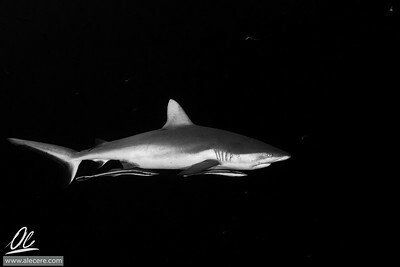 This female bull shark was patrolling the bottom, apparently without paying any attention to the divers. 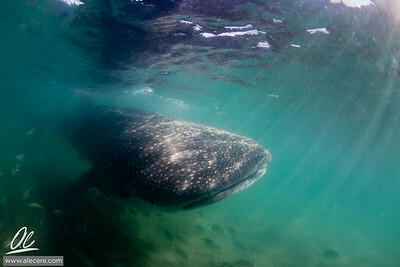 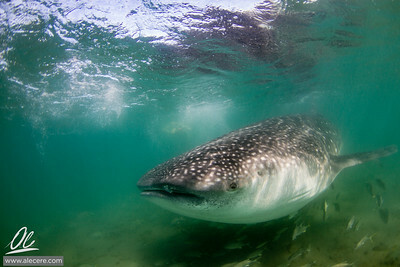 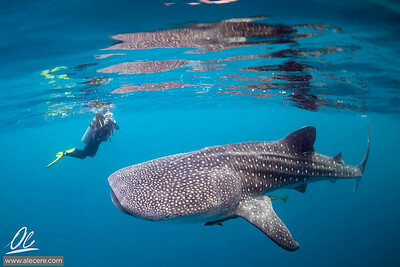 But only apparently: as soon as we started to ascend, it started following us to the surface! 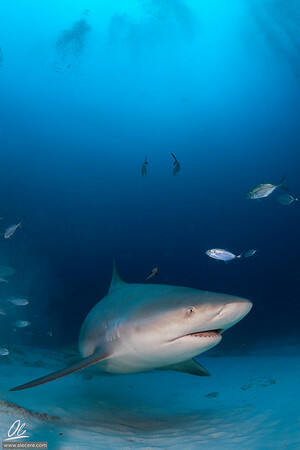 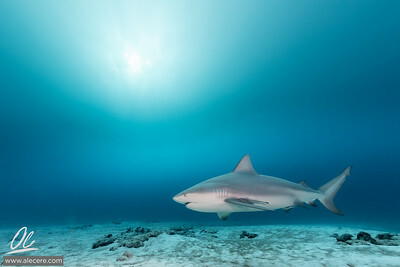 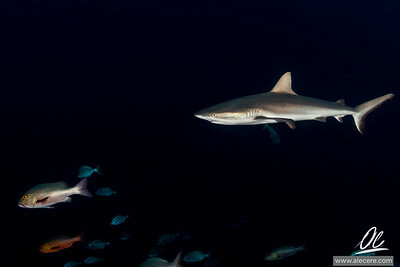 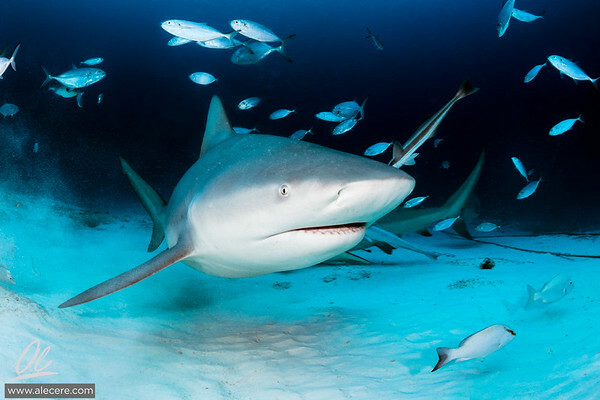 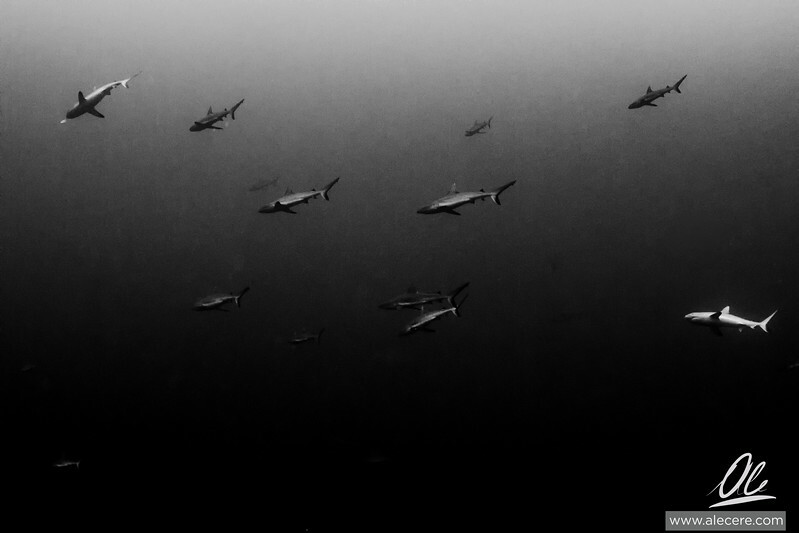 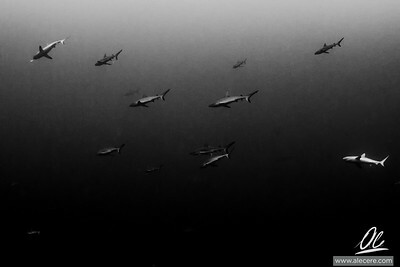 I was very happy to get to see at least 7 bull sharks, all female, in a single dive. 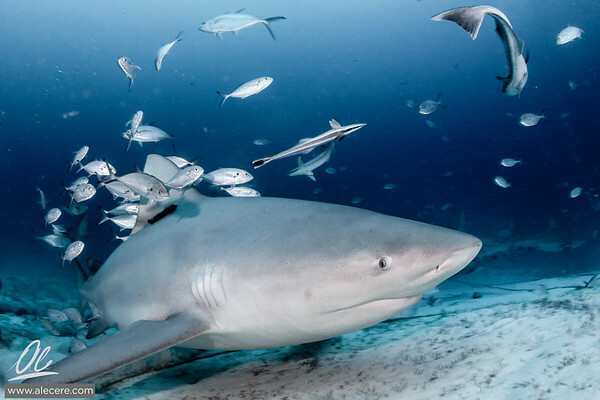 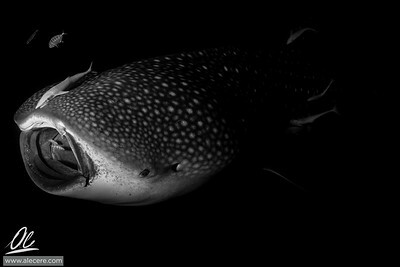 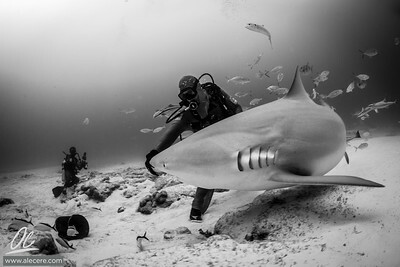 I was even happier to see how the activity was focused toward understanding and appreciating the role of sharks in the sea, and not a futile adrenaline-driven stunt. 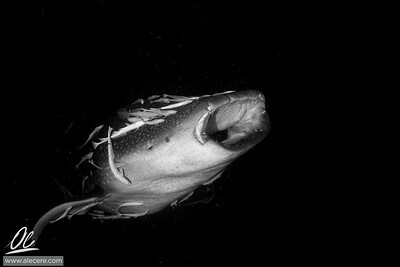 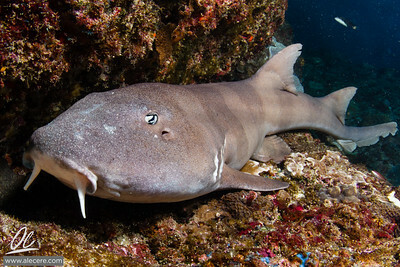 Bamboo shark in Manta bay. 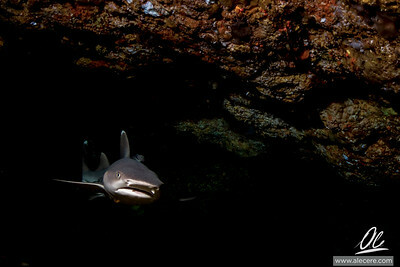 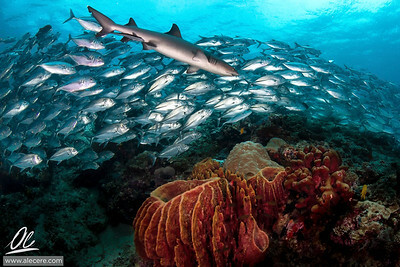 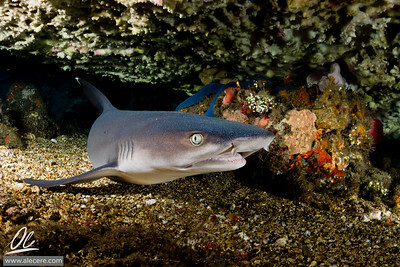 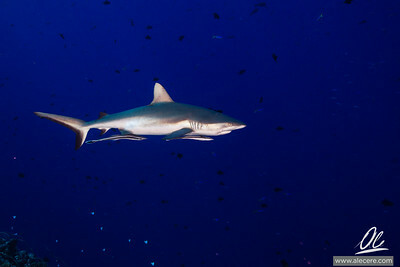 Whitetip shark dwelling in the cave of Gato island. 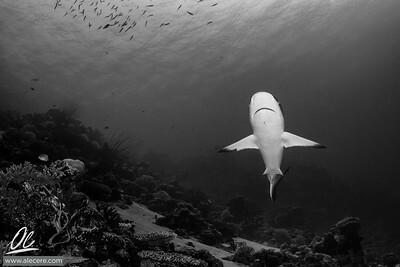 A majestic sevengill is not bothered by my presence.